Purchased based on the reviews. I am glad I did. 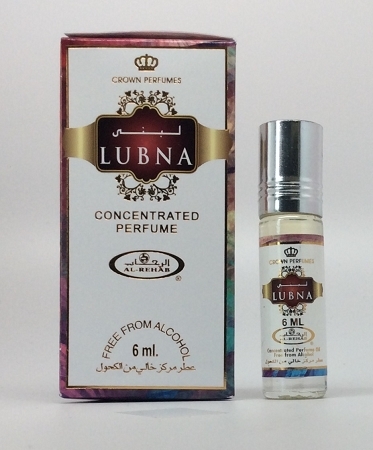 Lubna is a very feminine scent. I was leary as some of these you do not know for sure if they are for male or female. This is very feminine. It does not remind me of any particular fragrance I know but it is very clean and inoffensive. I love these roller bottles they are very convenient to carry in a bag. This smell totally different on your skin. I was not that fond of this at first smell from the bottle but when I applied it something magical happened. I keep sniffing myself. This is s nice feminine scent that last a long time.